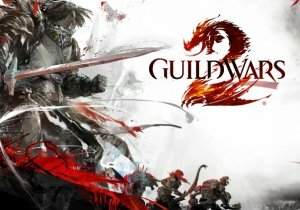 ArenaNet is excited to announce our first release that focuses exclusively on in-game features: the April 2014 Feature Pack, which hits Guild Wars 2 today! As a release that focuses primarily on game systems, the April 2014 Feature Pack will include a sweeping range of new features—everything from new systems that change and upgrade the way you experience Guild Wars 2 to quality of life and balance updates that improve existing gameplay systems. In our PAX East 2014 overview video here, we get a bit more inside information on the progression of the “Living World,” how traits are being reworked, wardrobe organization and expansion, new custom PvP options, and of course the Megaserver plans! Just a month after the official Open Beta Test of MU Legend comes the 3v3 PVP update, which is now unlocked. 37Games’s first 3D Mobile FPS Fusion War will be released for Google Play and Apple Store globally in late December.